It’s that time again! Extra Life, the annual 24 hour gaming marathon event that brings gamers together to help sick kids, is happening next month. 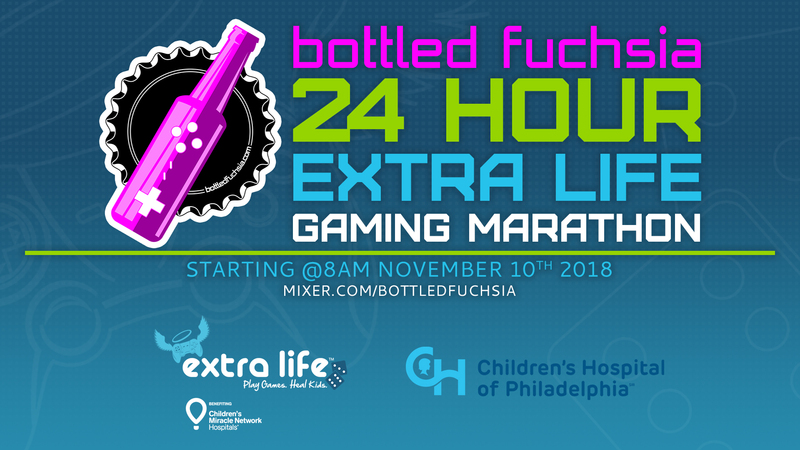 The Bottled Fuchsia crew will be running our event on November 10th, 2018 (the week after the main date), and donations will benefit the Children’s Hospital of Philadelphia. We’ll be playing some of our couch co-op favorites, and taking a look at some candidates for Game of the Year in preparation for our podcast coming up in early 2019. Make sure to tune in around prime time to catch our social Jackbox Games portion of the stream!